How many of you like eye makeup, even if it is just applying mascara and eyeliner. We always look for waterproof eyeliner, eye shadow s that won’t crease, mascara that will not budge off since you want it to last longer! come what may rain or shine! Although when it comes to removing it, it takes a lot of efforts to do that. Isn’t it?? Some of you told me that you even faced lash fall while removing mascaras. 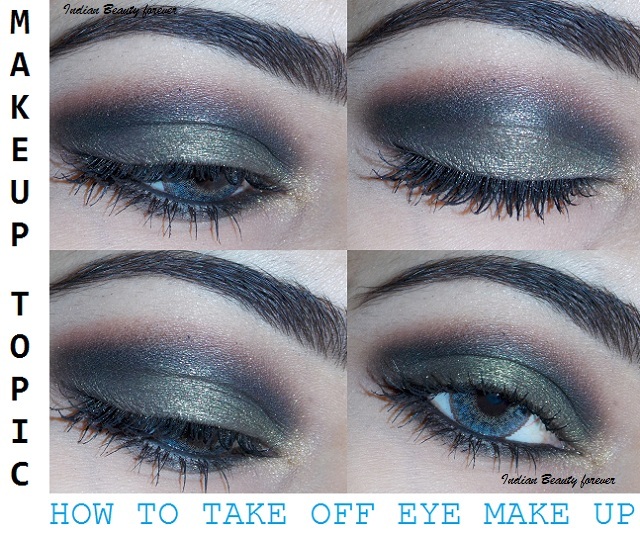 So, here, I will share some tips and how I remove my eye makeup. Our eyes are very precious and the skin under the eyes is too delicate so, the entire process should be as gentle as possible. Now, you cannot remove your eye makeup with just washing your face with face wash and water unless you haven’t used anything waterproof. To remove water proof eye makeup, you will need a bi phased eye makeupremover that contains an oil part as waterproof products can be easily disintegrated and dissolved in oil based makeup removers. 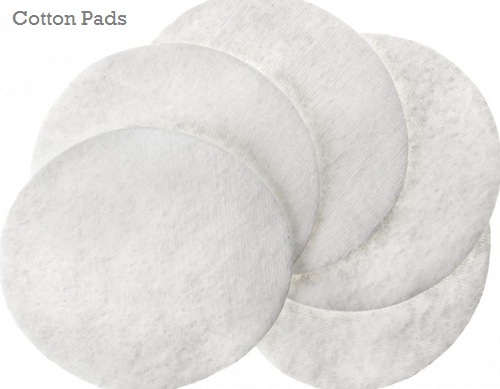 So, Shake your bi phased makeup removers vigorously and pour some on a cotton pad. Now close your eye and put the cotton pad on the eye. Then, gently press and keep it for 20-30 seconds and then wipe your eyes while they are still closed. Your eye shadow, waterproof eyeliner everything will be gone. Put the pad again and this time only press it against your eye lashes as we want to remove the waterproof mascara now. You will notice your mascara starts to deposit under the eye area, so fold the cotton pad this time, the dirty side inside and used this clean side to remove the mascara residue under the eyes. Now, your eye makeup is all gone. If required take a new pad and clean the left over eye makeup traces. Wasn’t that easy and mess free. No pulling or tugging!! You can go and wash your face afterwards with a mild cleanser. I use Cetaphil Cleansing lotion after removing my makeup. It makes sure that my skin is squeaky clean and there is no dryness or oiliness, just the skin that I had before my makeup!! Second image from Google sources!! Great tips to remove eye makeup thanks. Great tips! And in the title pic you have done your eye makeup so neatly..
That's right we can! extra virgin one is better than refined. Try maybelline bi phased or lakme absolute one. they both are good! I find it difficult to get rid of eyeliner closer to lash, it get stuck in between lash hair any tip for that?? same with me Shikha! I wiggle the pad gently over the eyelashes due to which the trapped eyeliner mascara gets removed. I like wearing makeup but taking it off becomes a big task!